This forum is for bug reports on the Sims 4. It's main purpose is to report bugs which the devs need to fix, not to troubleshoot your game. If you need help in other form, please use the forums below. If your game is crashing, please post in the general Sims forum: The Sims 4 and post your DxDiag. There's very few crashing issues that belong in here. I'll be moving threads. If you want to talk with your fellow Simmers or ask questions about the gameplay, you can use the Sims 4 Game Information. There's also help available in several languages like German, Spanish, French and more. Just pick the appropriate language from the language picker on top of the page. Please do not report just anything as a bug. It simply might be a misunderstanding. Bugs are only things that are NOT working as intended. Some stuff is random and some stuff is simply working a bit different than you might think. Read instructions carefully. If unsure, discuss with fellow simmers at your favorite forum and if you all come to the conclusion that it's a bug, report it here. Gives the devs and me less work and the ability to concentrate on the real bugs. Also if you feel, I misunderstood you or you have wrongfully been moved or merged, please do step up but don't be rude about it. Just say that you think I misunderstood you and explain why. English is not my mother tongue (I'm Swiss German) and I do sometimes have issues understanding. Some times are more stressful then others, so please bear with me if you think my answers are too short or not very friendly. They are not meant to be rude in any way, they're just sometimes kept to the bare necessitates to save time and not drown in threads. Please DO NOT VENT in this forum. If you are not happy with the game, post somewhere else. Venting will make me skip your thread. Make your statement as calm and informative as possible. Reports that are overly ranty will be ignored by me. 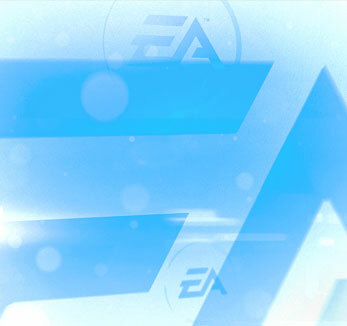 Doesn't mean EA/Maxis won't see them but they will not be added tot he list. If you have an issue someone else has posted about but you don't have something to add, please just press the ME TOO button. This will show the Devs, how common the issue really is. Please do make a post if the thread is over 3 month without answers to show that the issue is still current. Please use separate threads for console and PC issues. While it's probably the same issue, they are unlikely to get fixed at the same times so it's best to keep them separate. It's important that you remove all custom content and mods before reporting something. A lot of stuff is broken and I only want reports on vanilla games. This is so EA can't dismiss a bug as mod/cc related. The forum now works with a bug template. Please give as much and accurate info as possible. Be aware that you need to fill out something in the comment box for the submit button to show up. This can be three dots if you have nothing further to add. Adding a picture is unfortunately, not enough. Please use proper English and no text language. Also try to use punctuation where applicable and don't put everything in one paragraph. Those are very hard for me to read. I'm German speaking, so that would help me a great deal to understand what you are saying. I do understand that this might not be easy if you are not native English speaking. Just try your best. I will not attend to threads containing multiple bugs in one thread. If you're a first time poster, I will probably let you know but if you're a regular, I'm assuming you want to use your way of reporting (which is fine of course) but I'm unable to process them. I know it might be a bit tedious to have single thread for every small issue but it's much easier for the devs to track how common an issue is and get information. Collection threads tend to get confusing with many issues mixed up in the same thread. Sometimes it's hard to distinguish if something is a different issue or the same so you're thread might get accidentally merged or you will be asked to make a separate thread eve if it's not necessary. If you have extra info to add, please do so. Also let me know if you feel that I have misinterpreted your post. If you found a solution to one of the problems listed, please feel free to share those in the threads too. Make sure to tag me in your post so I see it. Reasons for this below. If you can't find a thread you made, it got most probably moved. To find your post, click on the little arrow next to your user name and choose HQ Profile. All your posts are listed there and you can just click on them to go there. Technical issues/Issues that need further troubleshooting will be moved to the Sims 4 forum so you can get the help you need. You can upload and pictures here directly. I will try and answer new issues as quickly as possible but I do have other things on my plate. I usually don't answer in established bugs (those with an Open-Tag) unless there is something new to say or I have questions. As per 1.1. 2019, I will also not read those threads anymore either. More details on this below. I will tag your issue as soon as I read it or post further questions. If you're issue doesn't get tagged/answered in a while, please bump it. It might have been overlooked. Be aware that build/buy/lighting issues are handled by BryonyRae and as she's far more busy than I am, it might take longer to get an answer. There are times where I will take a break. These breaks are communicated in this thread: [PLEASE READ] Information/Questions about the bug forum. During that time, answers are usually limited but the forum is taken care of by CM or QA. I will catch up when I get back. You will also see the Sims QA Team answering and trying to get info from you. You can recognize them by the EA Sims Team label. Please open multiple threads if you have multiple issues that are NOT connected but check if there's already a similar one even if it's not listed. You can use the search bar for faster finding. If you found a solution to your issue, please come back, post it and if you are the OP, you can mark the thread as solved. Some issues are marked as solved although the issue itself is not fixed. This is to highlight a certain workaround/solution that can help with preventing/fixing the issue. It's still a bug though that need fixing. Fixed issues are tagged as such. Those count as fixed and are off the radar. Please post in fixed threads if you still (or newly) encounter those issues. They will then be reopened or I will ask you to make a new thread, depending on the issue. Please use titles that describe your issue as accurate as possible. This lets me just add the thread as it is to save time. I will take the liberty to change thread titles if they contain no indication of what the issue is. Once you've reported an issue, please do try to keep up if it's fixed for you and if is, come back and report. Helps a lot with keeping the list current. It's not allowed to post links to mods in here. You can name them and give indications where to find but no linking. Please also don't name mods that raise the rating of the game such as certain woohoo mods. Be aware that issue that have no comment in over half a year and very few Me Toos will be dropped from the list. You can still comment and I will add them back if people still have issues with it. Reason for this that old threads with not much traffic will not be considered a priority. I might not tag something as open but I will forward everything that doesn't turn out as a mod issue or a misunderstanding to QA. At the end of the day, it's Maxis decision what gets fixed and when. QA usually does not give any ETA when something will get fixed. Since there seems to be a lot of misunderstanding of what I do and what I'm capable to do, I want to stress again, that I DO NOT WORK FOR EA. I do have the ability to forward stuff to the AHQ Staff/QA.. I compile lists for everyone here to see what's already reported. It's not in my hands what Maxis chooses to handle what way. I do not have any information when what is going to be fixed. I'm basically merely a collector/messenger should I get some info I can pass on (which is really rare). Do not think it's for naught if you report here. It's not. This forum is being monitored by Maxis and we now even have a few QA guys chipping in. There's a lot of stuff I don't know and I depend on each and everyone of you to help me out and clarify things. There's a lot of sites with info and I can't read them all. The bug forum has a certain way it works. New threads are processed every day except when I'm taking a break which is communicated in this thread: [PLEASE READ] Information/Questions about the bug forum. Below I will try to explain a bit, how the flow currently works. As per 1.1.2019 there have been some adjustments made. More info about it can be found here: Changes coming to the bug forum. It does all sound a bit complicated but it's just the way I work. This is purely informational. Adjustments may be made any time depending on issue. Those are being forwarded to QA. You might or might not get an answer. If they are getting tagged with a console tag, they have been forwarded. If not, please bump. Post will be merged with the current thread. I will tag you to let you know that I have done so. Please make sure to click that me too button on the first page cause that is not covered by merging. If troubleshooting is needed, it will be moved to the tech forum to do so. Thread might later be moved back if it turns out to be a bug. If it sounds like a tech issue, it will be moved to the tech forum to better assist you. If it seems straightforward enough, it will be tagged as [NEEDS INPUT/A] which means that it will be added to the list on the next round and has been forwarded to QA.. Anyone else that has this issue should add their voice so it can be changed to open, once it reaches the necessary me toos. If the issue peaks my interested I will try myself or ask for saves. Conversation will go from there. If it's a rant and just a collection of things, thread will get ignored by me (doesn't mean QA/CM don't see it). Those are issues that have been forwarded to QA and are handled by them from now on. I will not read or comment on those (exceptions apply) but any new information or voice you want to add is a good thing. It shows QA how popular they are and what your concerns are. You can tag me if you think I need to read your post, you have found a workaround or if you find the issue fixed. QA has asked for saves or more info in these threads. I will check on those and forward if any info gets added to make sure it's not getting lost. I will check your post and let you know if it's best to open a new thread or I will re-open the thread. Will mostly not read. Those are related to mods or by design. Please refer to the solution post. If you feel something is not right, make sure to tag me or create a new thread. I will read those for further info and handle once there's more info. On an irregular basis I will add stuff that I have tagged to my list. I will also check the list on a half-yearly basis for threads that can be removed due to low traffic or change tags if needed. Patch Day is always the most exciting day for the bug forum. I will mark everything as fixed that is on the patch list and remove from the list after a few days of feedback. I've started adding labels to the titles, especially on the ones that are marked as solved. Solved threads that don't have a tag are threads that either already have anoher thread somewhere (that didn't get merged for whatever reason) or one time glitches that were resolved by basic troubleshooting. If you have a report for the a stuff pack/game pack or expansion pack please put a abbreviation (see list below) in front in your title. I'll be editing thread titles if that info is missing. Please only add the Pack ones yourself as I'll be adding the others. This helps me keep track of what I've checked and the status. [OPEN] : These are bugs that are confirmed to be still int he game and have no known workaround. [COLLECTION THREAD] Thread to one related issues but concerning different nuances of it. [NEEDS INPUT] Issues that have been reported by few users or didn't have any interested in a long while. If you have this issue and you want it fixed, make sure to click me too and if the thread hasn't had an answer in 6 month, make sure to add your voice by posting in it. Needs Input threads with no interest in 6 month will be dropped from the list. [NEEDS INFO] QA has answered in this threads and they either need more information or saves as they have issues duplicating the issue. In rare cases there will be questions from me on these threads as it's an issue that caught my interest. [TO TEST] Newly reported issues that need testing before being added to the list. Feel free to jump in on those. Not used commonly anymore. [TO ADD] [NEEDS INPUT/A] Those have been identified as bug but have not been added to the list yet. [FIXED]: These are Issues that have been fixed. Information by either of these sources: Patch Notes, OP, Trusted Tester. Feel free to post if you still see the issue. Make sure it's the same one though and not just similar. Better to open a new thread if you're unsure. Depending on the issue, I might ask you to make a new one anyways. [UNSURE] (Old: [UNCLEAR]) Totally not sure if it's a bug or by design. [TROUBLESHOOT] (OR TS if the title gets to long) Issues that need have troubleshooting steps OP needs to try. [ARCHIVED] Old thread that usually have a new one. New ones are linked in the last post. [UNDER INVESTIGATION] A QA Guru has answered in this thread and acknowledge that they are trying to find some info. This does not mean it's an acknowledge bug or that it will get fixed soon. If anyone has further information to provide, that'd be great. If you can't find the issue you want to report by checking the compiled list or using the search bar, you should create a new post. To do so, click on the New topic button (be aware that it sometimes takes a moment for the button to appear). Please make sure you choose English in the top bar or you might have issues picking options. After that you'll be asked to fill out a template. You need to fill out EVERY field, including the comment field at the bottom. Just adding a picture doesn't help, you need to add actual text. Once you fill out everything, a Submit button will appear at the bottom. To get an email if your threads gets an answer, you can also subscribe to it before submitting. This is a good way to keep up with progress on the issue. If the Submit button does not show up although you filled out all the fields, try add some spaces to the comment box, especially if you c/p something to the box. You can also directly attach images (bit unsure if all ranks have this abilities) or add files to your post (not all extensions are supported). Some basic Info about your Computer (please NO DxDiag, they are too long for this thread). Processor, Amount of RAM, Graphic Card and Operating System (Mac with bootcamp/parallel desktop, Win 7, Win XP, …) ? In addition tthere are some additional files/information that may be helpful to provide if you would like to report a bug. There is no 'best' way to provide these files, but it's most helpful if you can zip them into a single file and include a link to them (through your preferred file-sharing service) in your post. You can upload the txt files directly to your post as attachments though. Lastly, if you encounter an Origin issue, please file an Origin Error Report in the Origin client (In Origin > Help > Origin Error Reporter). This can be very helpful in figuring out Origin problems. Crashing issues are mainly technical and don't belong in this forum. Please make your own thread there, posting your DxDiag and info about custom content, when it crashes and other useful stuff. DEP is activated for the game. Unfortunately, it's not possible to add it as an exception since they put in some switch that prevents this. Please only provide save games when asked to do so by either EA Staff or AHQ Heroes. This has two purposes: I want to try out on my game if I can reproduce the error and also to forward the save game to EA/Maxis so they can fix this. Be aware that I usually get no feedback from them so forwarding is a one way street. All you can do is hope that they fix it in an upcoming patch. QA will sometimes ask for saves directly. Please follow their instructions to upload. Please do not PM saves to me if it was QA who asked. There are no guarantees though that already affected save games can be recovered. Sometimes bugs are fixed but they only prevent the problem from happening again, not fixing old ones. Upload the save to a file sharing site like Dropbox, GoogleDrive, OneDrive and PM me the link. If you have a lot of saves, it's advisable that you only send the one that has the bug. To find out, which save you need to send, open the game and click on load.